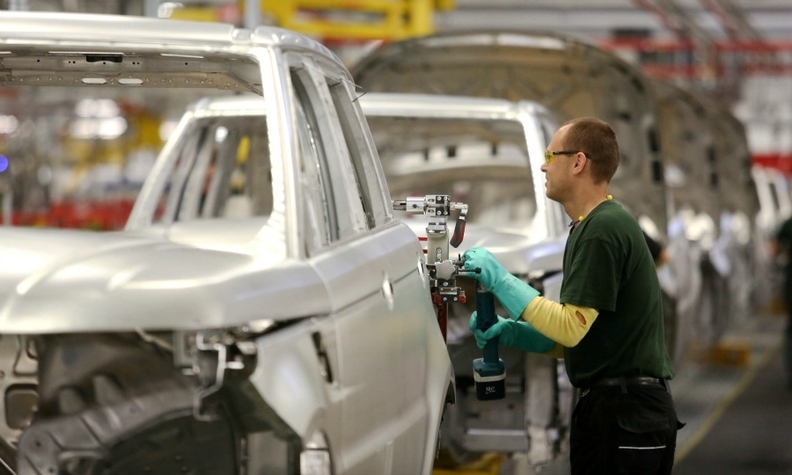 An employee works on a Range Rover Sport at Jaguar Land Rover's plant in Solihull, UK. The company employs 35,000 employees in the country. LONDON (Bloomberg) -- Jaguar Land Rover is the best large company to work for in the UK, according to a survey carried out for Bloomberg by Statista. The automaker, which has 35,000 employees in the UK, almost its entire global workforce, was ranked No. 1 among 400 businesses surveyed that employ more than 500 people in the country. AstraZeneca and Harrods were rated second and third place, and like JLR are both headquartered in the UK. General Motors’ Vauxhall brand was the second-highest rated automaker at No. 17, while ultraluxury brands Rolls-Royce and Bentley were rated 18 and 36 respectively. Supplier Robert Bosch was listed at 41. "Over the past five years, we have created more than 20,000 new jobs and are investing significantly in the future of Jaguar Land Rover by recruiting and developing the people that will help ensure our continued success," said Ian Harnett, executive director of human resources and global purchasing at JLR. The survey was conducted between Oct. 6 and Oct. 26, 2015 via a series of online panels. A sample of 15,000 UK employees was used to achieve a representative snapshot of life at a UK business, and only companies with at least 500 employees are included on the list. Respondents answered 35 questions about their employer, and were asked to positively or negatively identify companies in the 23 sectors of industry grouped in the survey other than their own. Respondents came from 24 industries as varied as automotive, media, oil and gas, construction, retail, and food and drink, with companies in each sector ranked against each other.